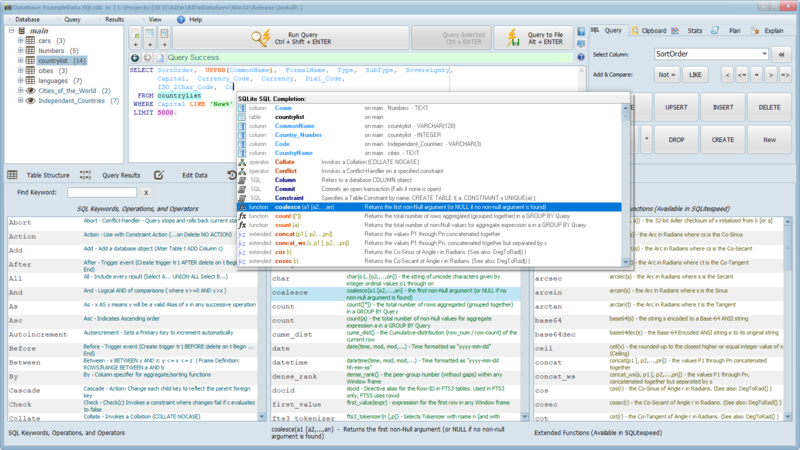 Added a Schema-tree with all attached databases, Tables, Views and all connected database objects - all with redesigned context menus. 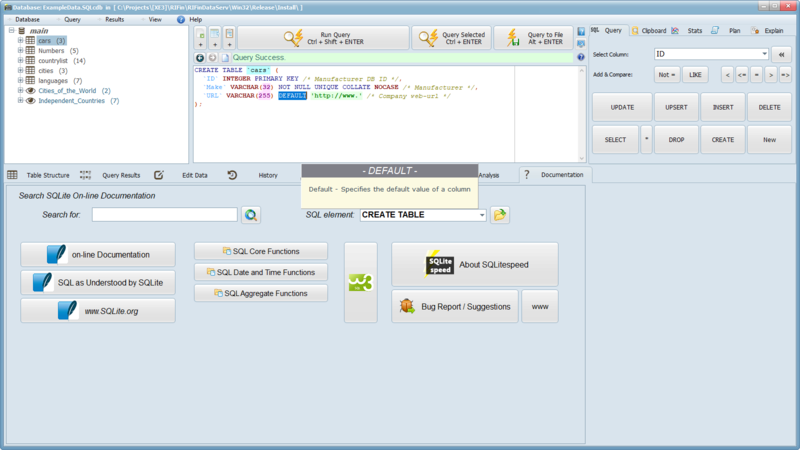 Re-designed existing quick-SQL functions and added many more, including the newly introduced "UPSERT" functionality. Support standard SQLite functionality and changes up to version 3.9.2 - Backwards compatible with DLL's down to version 3.7.8. 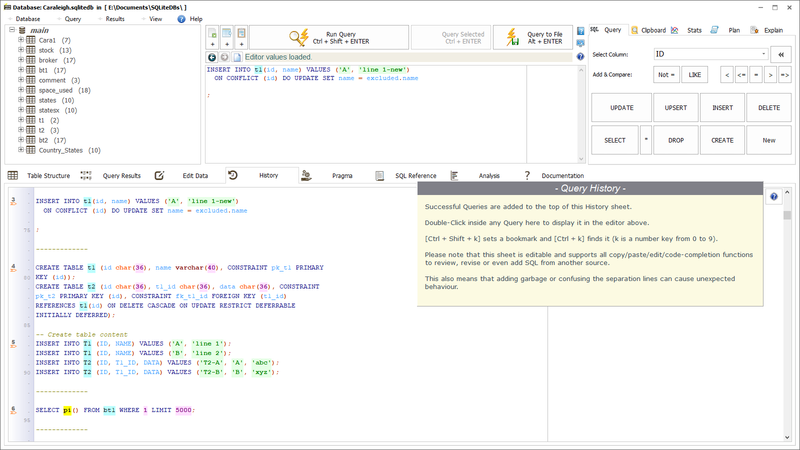 Export Query results to SQL (INSERT / REPLACE) with formatting for any of SQLite/PostGres/MySQL/MSSQL compatible flavours. (Most other engines will read one of those formats). Improved Schema documentation (Now with working HTML linking). 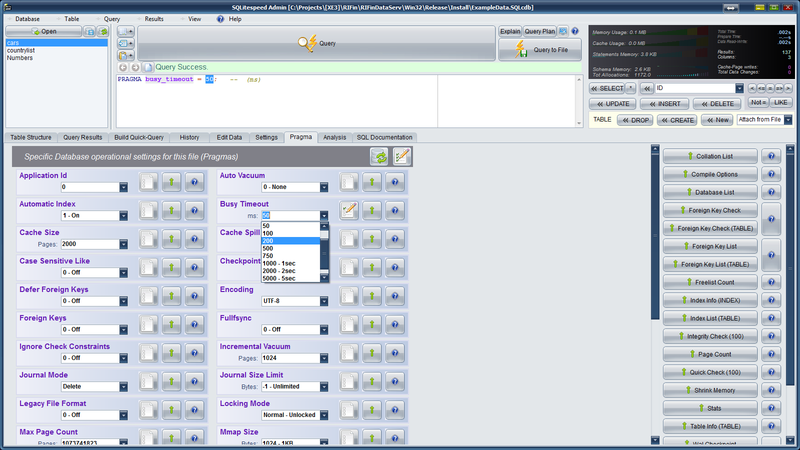 Script Engine Improvements - Automatic-add query lines; Use external editor; Improved results formatting. 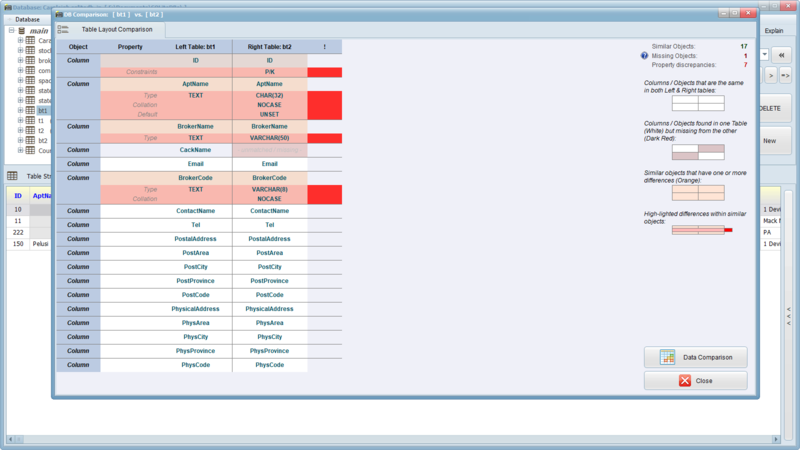 Improved click-to-add Keys, Indices and Triggers in visual Table designer. Automated Schema documentation for all Database objects (with SQL and HTML exports). Visual editors for all Table-constraints (Foreign Key, CHECK constraints, Primary keys and Unique keys). Test and debug schema changes to Tables or Views before implementing them. Visual Themes - many different themes to ensure everyone will find a look that is comfortable to work with. Access databases from an overview control panel and group them into Projects for easy access of multiple related databases. 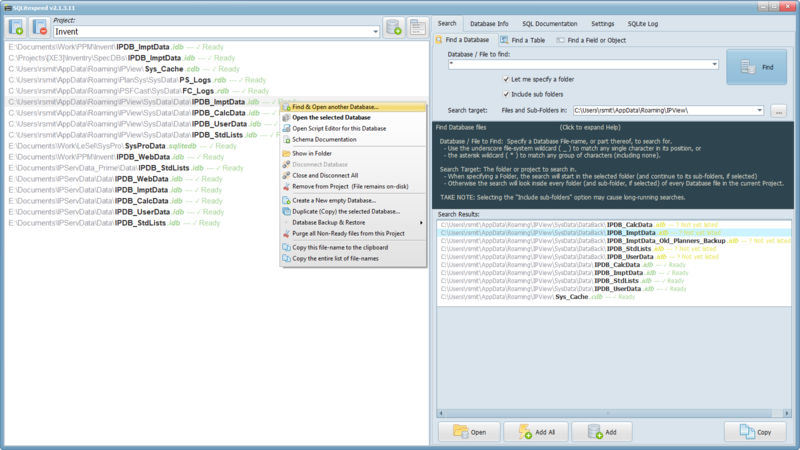 Double-click Database links in a Project to open the Database. Links may now also point directly to a specific table to open. 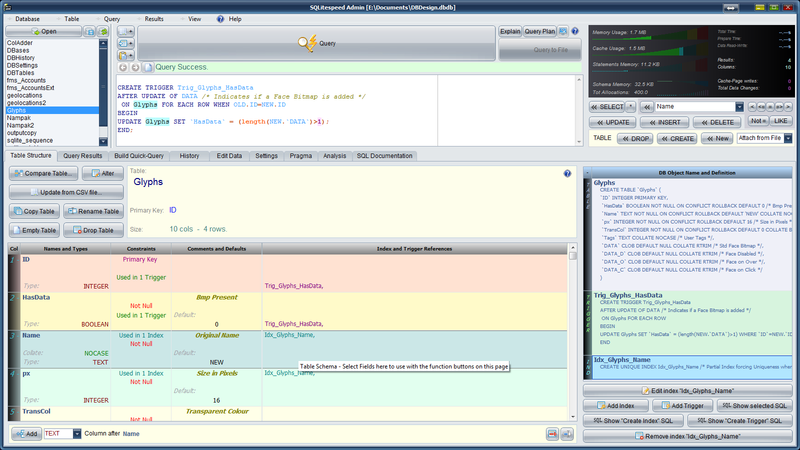 View core SQLite-specific Database Information from the overview panel. 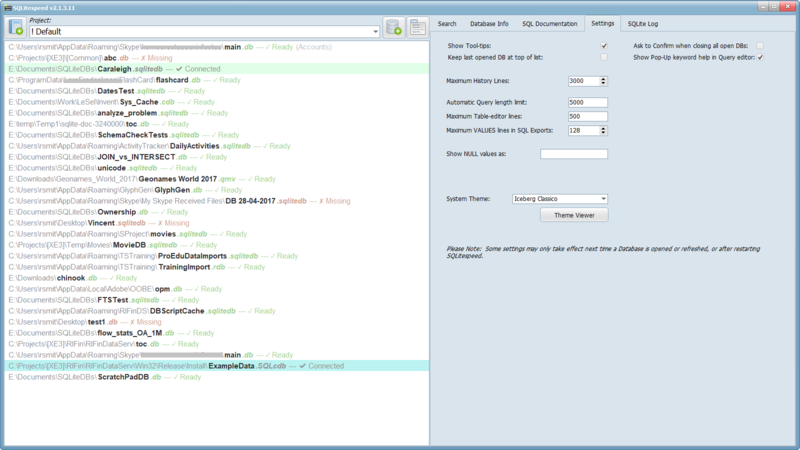 File listings indicates database validity, presence and accessibility. Drop in your own compiled sqlite.dll and use loadable extensions on the fly (Previously used extensions are remembered for easy future loading). View, select or manage Views from the menu. Create new Views from your query results. 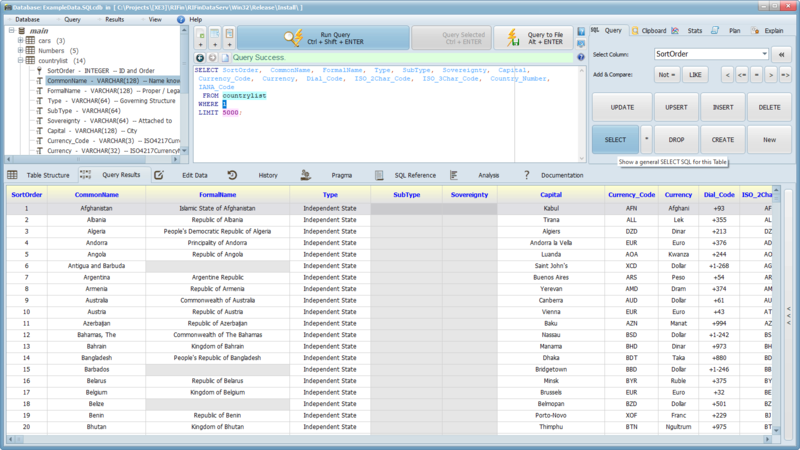 Export Queries to SQL in addition to all previously supported formats (CSV, JSON, XML, Spreadsheet). 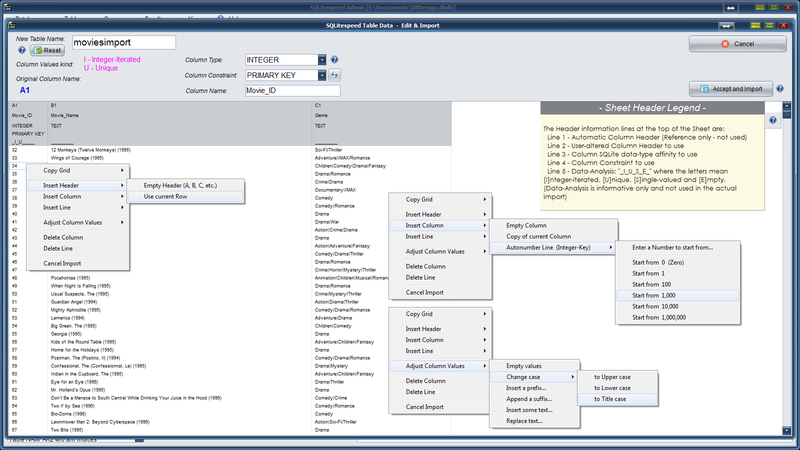 Alter tables and columns with adjustment of all table objects.